The Mission Projects presents SUMMER 2011: TRANSITION, a new exhibition of painting, sculpture, drawing and collage by thirteen artists on view June 24 - August 20, 2011. The exhibition includes works by Erica Bohm, Máximo González, Barbara Kaplan, Jerry B Martin, Sylvia Fernandez Palacios, Emilio Chapela Perez, Ponchi, Michelle Prazak, Natalia Revilla, Mariana Sissia, Pedro Tyler, Julieta Ortiz de Latierro, and Mariano Dal Verme. 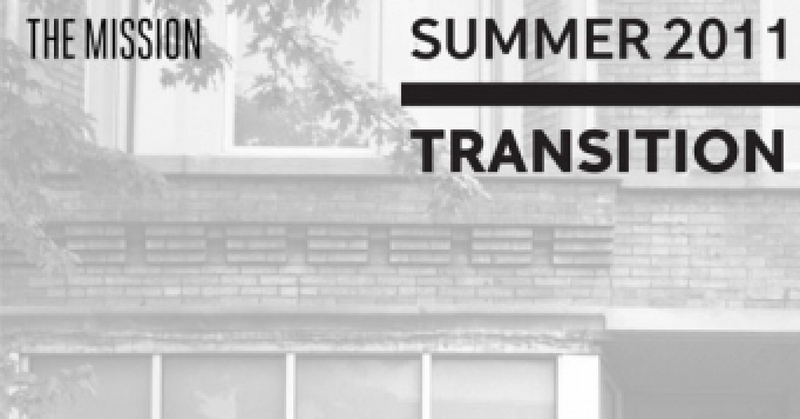 SUMMER 2011: TRANSITION is a group show in which the curatorial vision emerged from the work itself. The artworks and artists compiled for the show are a model for a more direct dialogue between artwork and audience. Each artist in SUMMER 2011: TRANSITION was invited to participate after studio visits where each articulated deep commitments to understanding the theoretical causes, effects and implications of their processes while ultimately letting their works direct the conversation. It’s this insistence on letting the work set the parameters of the exhibition itself that will ignite discourse and participation. Erica Bohm, Mariana Sissia, and Julieta Ortiz de Latierro all make work appropriating and abstracting conceptions of place, suggesting simultaneously an expansiveness and intimacy of nature through methodologies that evoke the imagination. The geometric works by Michelle Prazak, Mariano Dal Verme and Barbara Kaplan provide optical narratives of perspectives and perceptions. Pedro Tyler and Sylvia Fernandez Palacios systematically confront dichotomies such as rational versus irrational, imaginary versus sensory, and conceptual versus perceptual experience, all via the spirit of their craft. Emilio Chapela Perez and Jerry B Martin invoke systematic operations through materials to engage our collective reality as a figure of speech. Máximo González and Ponchi both use the process of weaving to explore different conceptual intentions and formal investigations, be it the interpretation of value systems or the politics of control. The Mission Projects serves as an independent space for curators, artists, and collectors to propose exhibitions of emergent to mid career artists. The underlying theme of The Mission is art of the Americas, but the space is not exclusive to art from a particular region, movement, or period. The inaugural year will focus on opening a dialogue between emergent Latin American artists and their historical predecessors; thus establishing a context for future shows. The Mission is as a catalyst for innovation and exploration of the contemporary landscape.